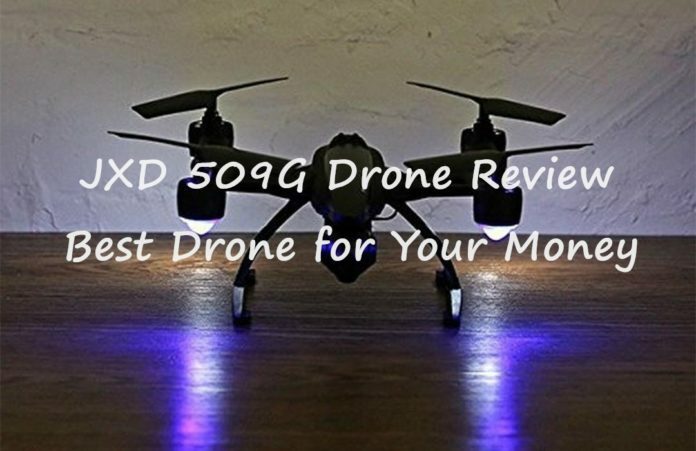 JXD 509G Drone is an excellent quadcopter within affordable range. With advanced design and performance, it will give the pilot a smooth flying experience. 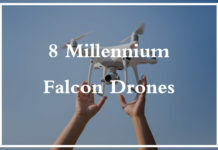 All of a sudden, as soon as Drone technology has launched into the market, the modes and methods of using technology have changed. It has developed the ways people handled capturing pictures, gathering information and exploring and monitoring even the God-forbidden areas. JXD 509G, however, is the most futuristic-looking drone available in the market right now. But are all the specifications in it make JXD 509G the best buy? So far, the JXD 509G drone was the first one to introduce altitude holder feature in it. 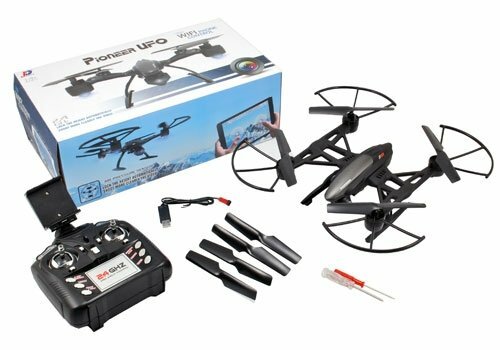 This Quadcopter by Pioneer was also the first in its bracket to incorporate powerful and useful features like high budget drones, though at affordable rates. Also, if you have an inclination towards FPV (real-time video transmission), with the complete package, JXD 509G is the right choice for you. Being said that, let us take a more detailed look of the gadget. 1.2 What’s Inside the Box? 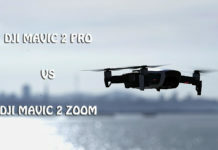 Here is a detailed JXD 509G review which provides for an insight into the features of the drone and its relative information that one shall require. Customers can choose between the available versions and opt either for a video monitor or a phone clip. In that case, the customer will receive one extra set of complementary propellers or a battery. It is always advised by the makers of JXD 509G FPV drone that the customer should buy 3 to 4 extra batteries and propeller blades. Neither the batteries nor the propeller blades are expensive. So one should buy a few extra in order to fly for rather long hours. JXD 509G comes with a sleek shape, combined with an elongated design. The gadget is also way less heavy when compared to the other drones from the same family. As we mentioned in the former sections, this gadget comes with one full set (includes 4 pieces) of protective rings for the propellers, as said in the JXD 509G manual. These rings save the drone against collisions and bumps caused by immediate landings. 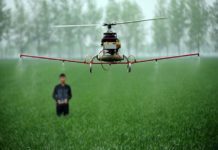 This is because from the very beginning this drone was designed to work with the air around it. Also, if you check the propellers of this particular drone, you would find it a little asymmetrical. When compared with the same gadgets from the same category, most of those have perfectly aligned propellers which form a square type shape. 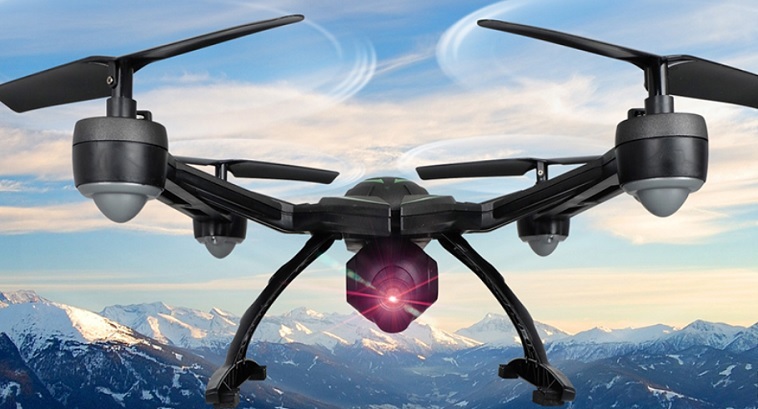 Coming to the better part, the drone undoubtedly consists of one solid body and guarantees durability. Also, there are no balance and stability issues with this drone. Plus, this JXD 509G is designed with an FVP screen and a hood on it to prevent damages caused by sunlight. 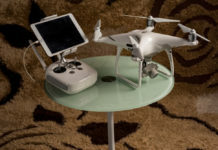 This drone incorporates a 5.8 GHz controller along with a video monitor and phone clip choices. The video monitor is wonderfully synced with the camera providing the user with sharper and clearer images. Also, this wonderful JXD 509G FPV drone can be controlled using the pinching technique. Go through the JXD 509G manual for more details. As felt by most of the users, this controller is more like a remote control but does not affect the flight performance. JXD 509G battery comes with a 3.7V 600mAH Li- Po battery that users can charge within one hour time. So when a user is transmitting a real time video, the JXD 509G battery life stays upto 10 minutes. The JXD 509G has been introduced to function well on high altitudes. This drone can sense and lock the altitude, making it stable while flying. The body of the drone has been designed with great aerodynamics, hence allowing it free to move in the air. The JXD 509G allows a full FPV over 80 meters. Also, when you disable the FPV, the flying range increases upto 120 meters. It has 6 axis gyros that allow agile and 360- degree movement. While filming videos at a better signal range, one can perform air tricks, barrel rolls and loops with this JXD 509G as well. JXD 509G has an inbuilt 2-megapixel camera along with the 720mp resolution. The package comes with an LCD screen to display live video and a 4GB micro SD card. However, while recording videos, one will experience considering the amount of jello effect in it. Surprisingly, when the live video is transmitted to the FPV screen, gives a good quality with lesser jello effect. Once can tilt the camera up to 20- degrees and not more than that. JXD 509G come all installed in the package. One has to install the propeller blades and batteries once received. The price of JXD 509G roughly varies between $90 to $100 across various online stores. 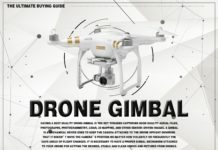 Although it’s not considered within the belt of expensive drones available in the market, considering the features and available pros, it’s the best your money can buy. Coming to the money back guarantees, this drone comes with a standard warranty. If found with fabrication faults, replace or refund of the drone are also done. Finally, when drawing a conclusion of the JXD 509G review, we must say this is an excellent quadcopter within affordable range. With advanced design and performance, it will give the pilot a smooth flying experience. Also, being the most agile drone available in the market, it can capture videos and photos without being tilted forward. 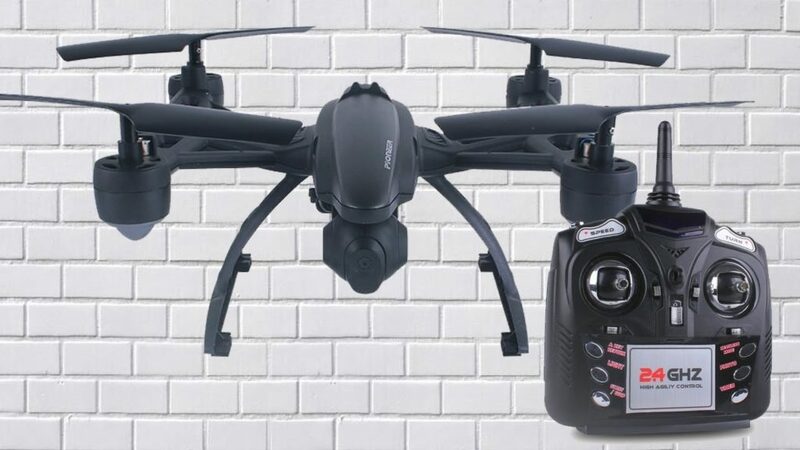 With 3.7V 600mAH Li- Po JXD 509G battery and propellers to suit high altitudes, JXD 509G is juxtaposed with advanced technology, smoother performance and value for money.